Content marketing is a fundamental activity for B2B companies to generate a higher number of qualified leads. In fact, 89% of B2B marketers use content marketing, according to a 2017 trends survey conducted by the Content Marketing Institute. They recognize the strategic value of creating and distributing valuable, relevant, and consistent content to attract new customers. However, throwing out content without a plan in place is a waste of time. If you want to be one of the 22% of businesses satisfied with their conversion rates, you need a content marketing strategy that is organized and has a solid framework. You have to be committed to a long-term approach in order to be effective. 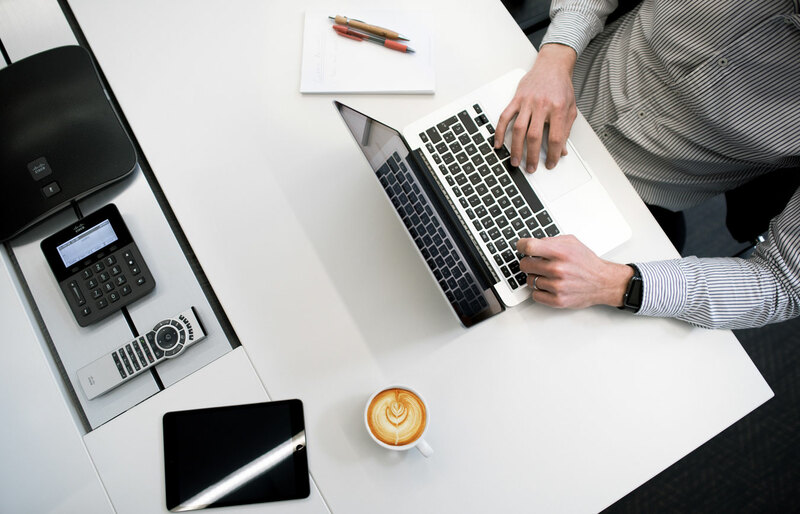 The problem is that over half (59%) of B2B marketers are unclear about what an effective content marketing strategy looks like (Content Marketing Institute). To help you out, we’ve provided a content marketing checklist that you’ll need to check off in order to create, implement, and run a successful B2B content marketing plan. The first part of the checklist is all about helping you define and hone in on your content marketing strategy. The middle portion is all about helping you implement your plan, and the final items help you determine if and how your content marketing activities were successful. 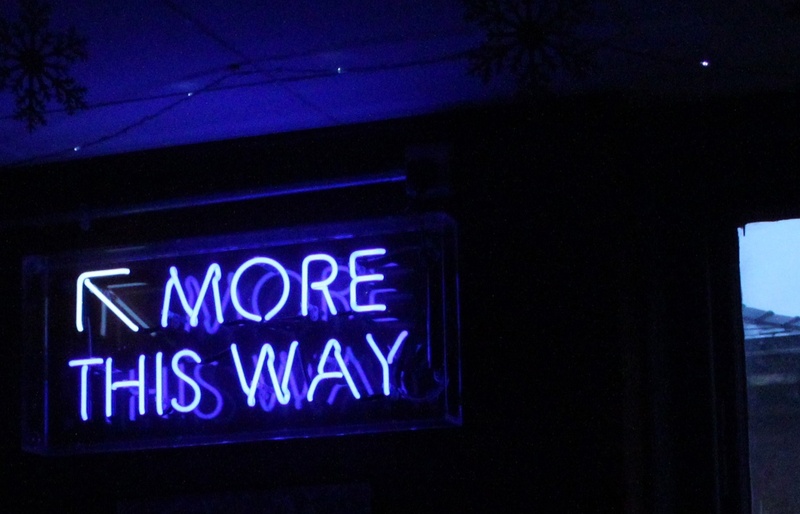 Don’t just say that your business “wants new customers.” How many new customers do you want? How will you measure the customers you bring in? Where do you want those customers in the sales funnel—what is reasonable based on past performance? How long will you give yourself to gain those customers—six months, a year? Google handles over 2 trillion searches a year, so how can you ensure that your content reaches the right audience? You need to determine your target audience by creating buyer personas. Buyer personas help you understand your customers better. They allow you to segment your audience based on specific needs, pain points, challenges, behaviors, goals and concerns so that you can better tailor your content and messaging. The key is doing your research to ensure you understand your actual customer base. Where do you work and what size is the company? Where do you go for industry information? You can get a better idea of how to create a buyer persona with these free templates from HubSpot. Unless you’re building your content marketing strategy from scratch, you already have a starting point. Don’t forget about your existing content. It can be invaluable for helping you determine where you’ve been successful and where you’re struggling, and what your next steps should be. Do you have content on your blog that gets a lot of traffic but doesn’t convert? Try optimizing it to increase conversions. Do you have content that gets no traffic and no conversions? Maybe you should consider removing it completely. If you need help conducting a content audit, contact KeyScouts today. Your ranking on search engines will be determined by the keywords and key phrases that you use within your content. These keywords demonstrate your areas of expertise and where you think you’ll provide the most value to your customers. And remember, 50% of search queries are four words or longer, so long-tail keywords and phrases are important. When determining your keywords, you should look into your industry, business services/products, buyer personas, and search trends. Start by making a list of relevant topics based on your business. For example, if you’re a marketing software company, you might have topics that include “inbound marketing”, “blogging”, “SEO”, “marketing automation”, and more. Then, start finding keywords within those topics. To help you out, there are quite a few free tools that make it easier to find the best keywords and phrases to use for your business. Keywordtool.io uses Google Autocomplete to generate a list of hundreds of relevant long-tail keywords based on any topic. Keyword Planner from Google AdWords is a great free tool for helping you conduct your keyword research, providing you information on how much a keyword would cost to promote. SERPS.com allows you to search for high-value keywords and then filter from there to build a relevant keyword list. 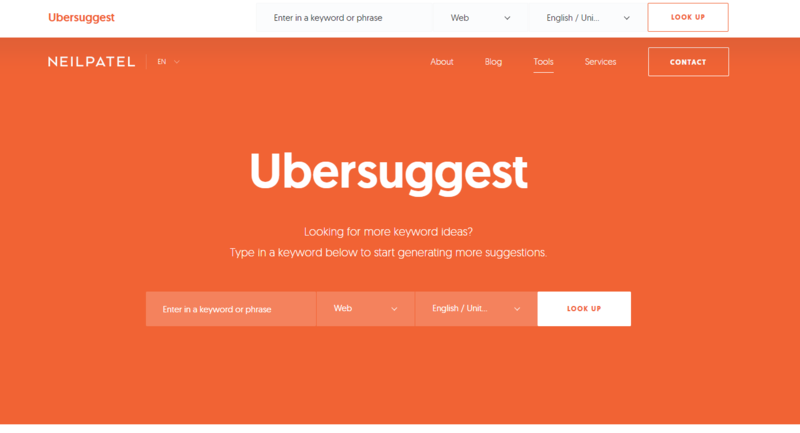 Ubersuggest by Neil Patel is a tool that gives you keyword suggestions, lets you know how difficult it is to rank for a specific keyword, and provides competitive intelligence. Once you know your audience and your goal, you can start developing ideas for your targeted content. Be sure to keep in mind the three different stages of your marketing funnel and the types of content that should be delivered during each of those stages. You’ll want to identify which stage each of your personas is in and then deliver content that matches that stage. Awareness: New leads that are just getting to know you should be provided free content such as whitepapers, videos, kits, ebooks, etc. Consideration: During this stage, a lead already knows who you are and what you offer, but they need more information to make their decision. So, you should provide content that demonstrates your value such as case studies, samples, and webinars. Decision: During the final stage, your lead is almost ready to make the leap to becoming a customer. You can cinch the deal by providing content such as demos, consultations, and free quotes. Social media is an invaluable tool for helping you reach a wider audience. It’s a great way to share your blogs, link back to landing pages, and introduce new services and products. You can use a tool like IFTTT, which lets you create a recipe that dictates “if ‘this’ happens, ‘that should happen.’” For example, when you post a blog, you can make a formula that automatically shares the blog on social media. 86% of consumers would like to receive promotional emails from companies they do business with at least monthly. Using a program such as ConstantContact you can send out regular emails to targeted buyer personas sharing your latest news, blogs, and services. There are many places you can choose to pay to have your content reach more people. Popular B2B paid promotion options include Facebook Advertising, AdWords, LinkedIn Advertising, and Outbrain. Key influencers and industry leaders can help you increase awareness by providing you another outlet for reaching potential customers. A great tool to help you with this is Hunter, which helps you find email addresses for top influencers in your industry. The key to successfully repurposing content is to take the topic and present it in a new way. You don’t want to create a video that just reads your blog. Instead, take the blog idea and then create a video that looks at the same information differently. A content marketing strategy is only effective if you can measure its success. It’s vital that you understand how your content is helping you reach your audience, generating conversions, creating leads, etc. 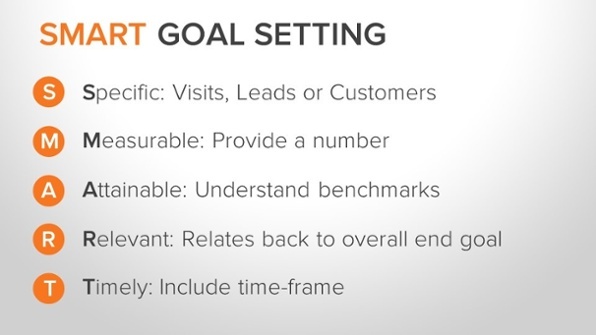 The key is to figure out your key performance indicators (KPIs) for each goal and to track those. Then, once you have all the metrics measured, you need to review those metrics on a regular basis to see how you’re doing. Just remember to never let your content marketing strategy sit undisturbed. You should constantly be reviewing your metrics and testing new ideas to get the optimal results. B2B content marketing is essential to reach new leads and to turn those leads into customers. However, it’s only as effective as the plan you have in place. You’ll just be wasting your time if you throw random content online and hope it works. The above checklist should help you evolve a best practice content marketing strategy that is not only effective but helps your marketing department prove its value. Just remember that you can’t skip any steps. Content marketing is a long-term strategy and thus takes long-term planning that starts with figuring out what your business needs, what your customer needs, and then providing the solution to those needs. If you feel overwhelmed by the idea of kicking off your B2B content marketing strategy, contact KeyScouts today. We will be happy to help!